Sunday breakfast eggs before cooking. Marmite’s recent tiny egg is on the right. Marmite’s tiny egg had a really hard shell. I struggled to crack it and so ended up breaking the yolk which is why it looks oval in shape. Her tiny egg was mostly yolk. 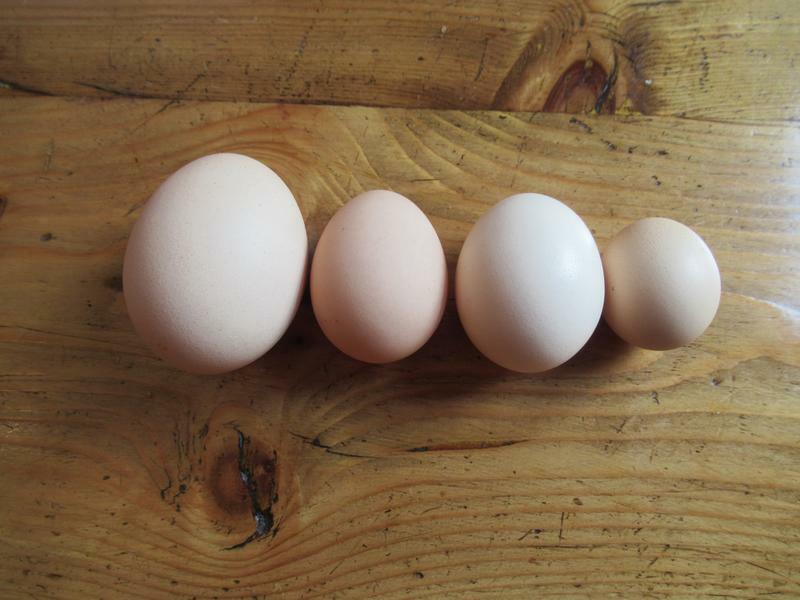 They are all lovely eggs whatever size they are. Yesterday for breakfast we had Jasmine’s egg and the shell was thin so I think both it’s size and thin shell were what made it difficult for her to lay. I have never seen her go to the grit and oyster shell. She has, so far, only laid her eggs two weeks apart so perhaps as she lays more often she will start going to the grit. Yesterday Smoke laid her first egg since she took a two week break after going broody. 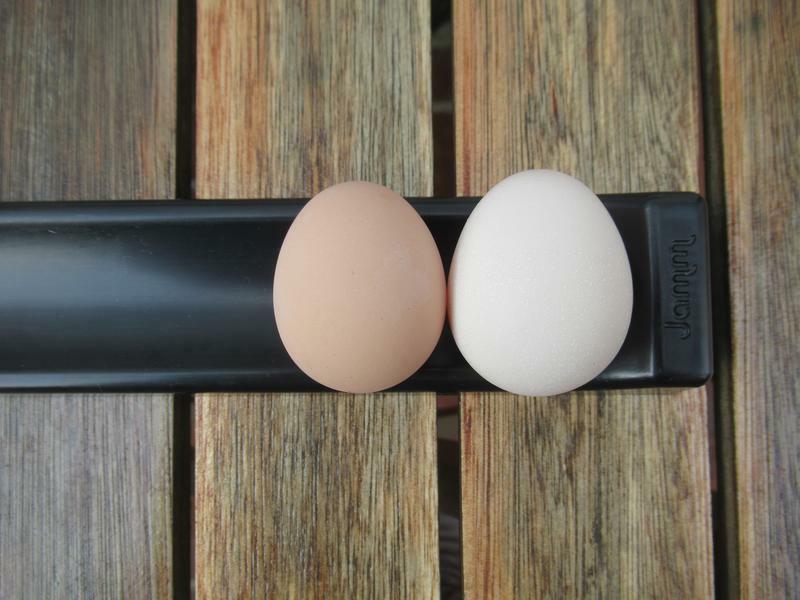 Smoke’s egg on the right is white and Spangle’s egg on the left is beige. This is one of the reasons I can still tell the girls’ eggs apart at the moment, coupled with spotting them in the nest box, or missing from the run. Smoke’s first egg, after her break, is a bit smaller than she usually lays but I would expect them to get bigger over the coming days. 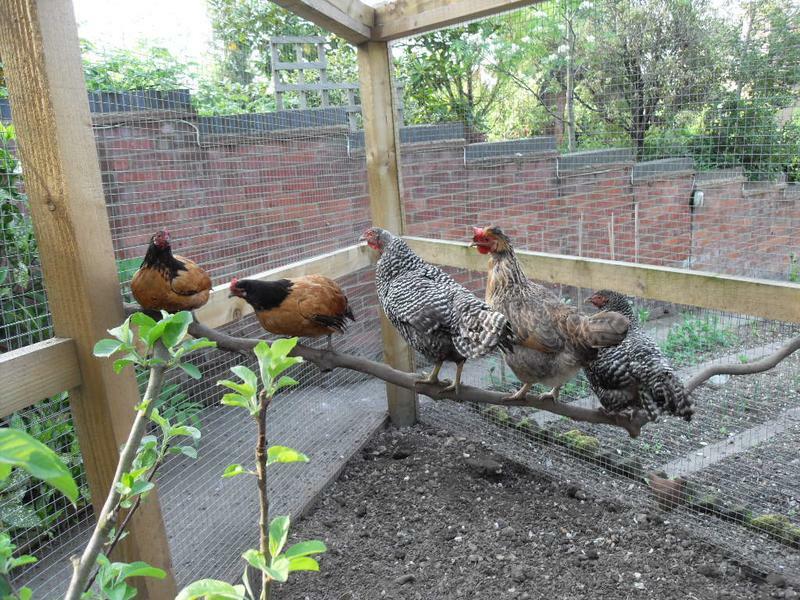 It is good to have our best laying serama back in action. 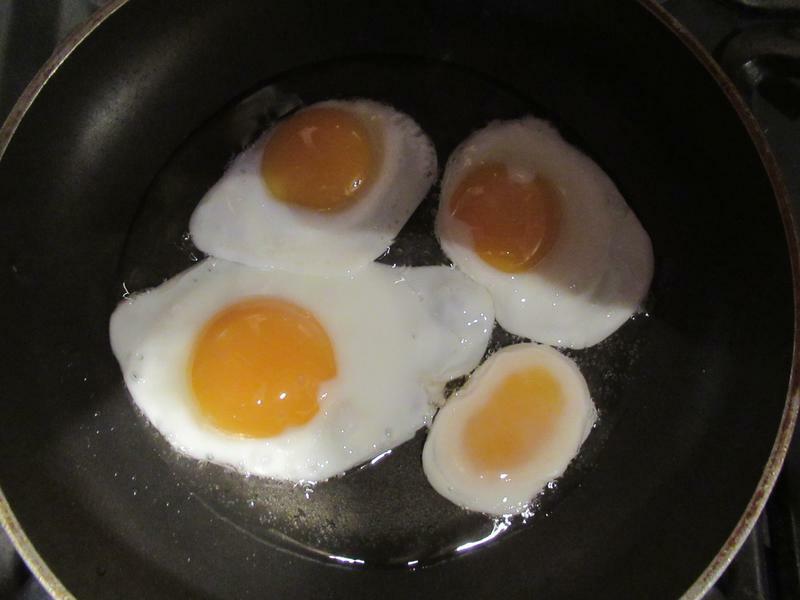 It is lovely having plenty of eggs over the winter and all the eggs, big and small, are perfect! As our Sunday treat we also had bacon and a sausage with it. Very nice indeed. The girls are doing really well. Despite having at least 5 laying at one point in January, we have not had an egg from any of the girls for almost a week! How odd. I wonder if it’s the weather although it is milder again now. Jasmine has only laid three in six weeks and Salmon only one in mid January so it seems like some of ours are slow to start with. Smoke, Marmite and Spangle are laying regularly. Of course broody girls will slow down your egg production too. I am sure you will be getting more eggs soon.